If bold statements aren’t your style, choose a classic kitchen for easy elegance and timeless appeal. A palette of light pastels, creams and whites brings a sense of calm and spaciousness. Neutral tones, pale wood effects, and smooth finishes create a warm and homely atmosphere — perfect for family gatherings and entertaining friends. 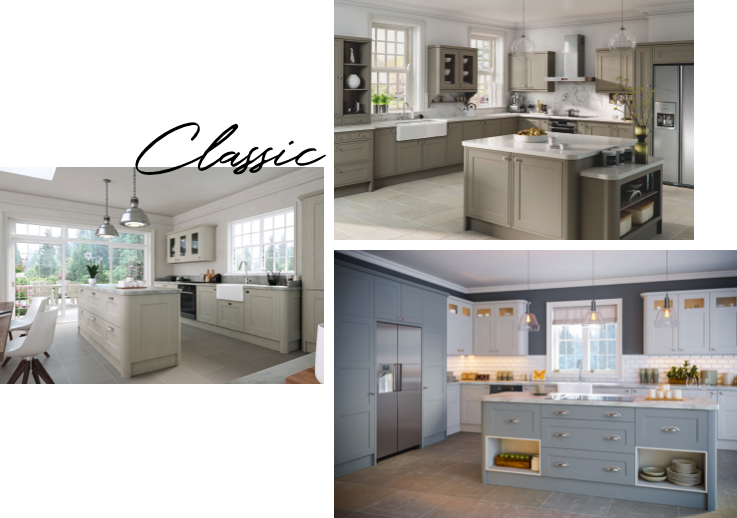 Whether your taste is for a modern or more traditional look, our Classic collection will help you discover your dream kitchen. For more information visit our gallery or see our Traditional & Contemporary collections.